What do you do with players, who constantly come late or don’t show up at all? Wouldn’t it be nice to know in advance how many players are coming and when it’s worth waiting the extra 3 minutes for the last one to arrive? In this article, you will learn how to use the availability feature so that athletes can mark the availability for their future competitions and workouts. Each athlete has his/her personal training schedule and can mark his/her availability for each future workout, event or competition. In order to do so, he/she needs his personal availability link. This link authenticates him/her and is automatically updated with his/her latest training schedule. The athlete just has to save or bookmark the link and he/she can use one link constantly! No registration required. We wanted to keep things simple, which is why athletes don’t need to sing up to use this feature. Each athlete has a personal link. Visit the Availability Tab on the Coach workspace and click on “Share links” to see the links for each athlete. You can automatically send an email containing the availability link to the athlete or his/her contact person. If you prefer to use Facebook or WhatsApp, you can also copy and paste the link into the chat personally. NB! Make sure everybody receives his or her personal link! Don’t paste a link into a group chat because people might use the wrong link to mark their availability. Let's say you have a competition in 2 weeks, but you really need to know who is coming so you can buy the bus tickets or something. Just go to the calendar and select that competition and find the “Send email invitations” button in the availability option. Each athlete will receive an email invitation, which will look something like this. 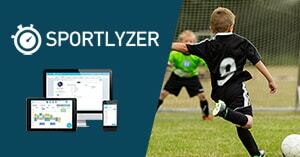 Don’t forget to download the Sportlyzer Coach Diary to access this information on the go and send invitations and reminders from your smartphone.